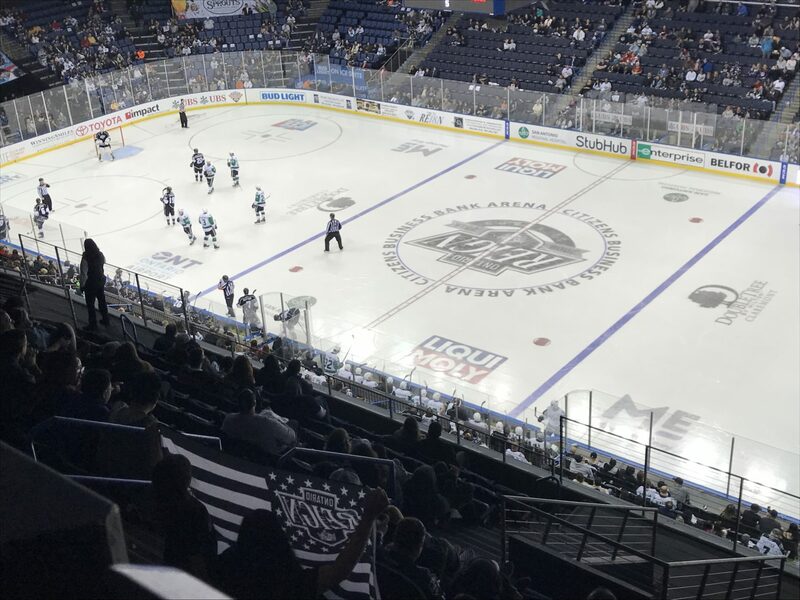 The Ontario Reign had chased Landon Bow from the visitors’ crease at Citizens Business Bank Arena during the second period of a deadlocked best-of-five series as Michael Amadio scored short-side on a 2-on-1 rush to give the hosts four goals on 22 shots. Trailing, 4-3, Mike McKenna – who had started the first two games of the series in Cedar Park, Texas – entered and stopped all 44 of the remaining shots the Texas Stars would face, banking on a Travis Morin equalizer midway through the third period and nearly two full periods of sudden death overtime before a critical stretch of 15 seconds decided the game late in double OT. Huge stop at one end by Mike McKenna, then Samuel Laberge gets the 2OT winner at the other! 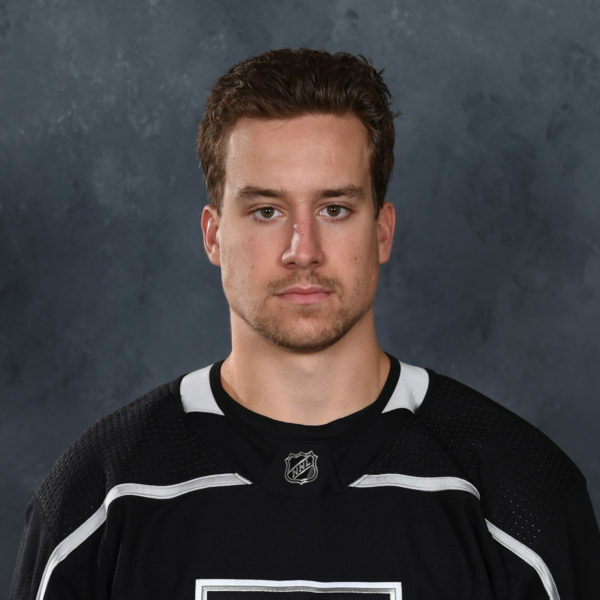 After McKenna came out to challenge Mersch on an Ontario breakaway bid, the puck was moved up to Samuel Laberge, who entered the attacking zone, drifted to his left and beat Cal Petersen up high on a shot that might have ramped up Oscar Fantenberg’s stick at the 17:38 mark of double overtime. 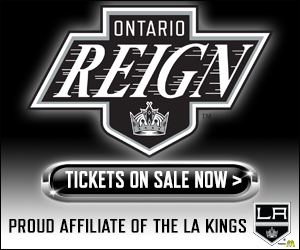 The Stars now lead the series two games to one with Game 4 scheduled for 7:00 p.m. Tuesday night in Ontario, followed by what the Reign will hope will be a decisive Game 5 on Monday, April 30, back in Cedar Park. 1st Period-1, Ontario, Roy 1 (Amadio), 8:30. 2, Ontario, Walker 1 (Moulson, Amadio), 11:06. 3, Texas, Elie 1 (Flynn), 14:14. Penalties-Morin Tex (unsportsmanlike conduct), 12:02; Mersch Ont (unsportsmanlike conduct), 12:02; Dries Tex (hooking), 15:16; served by Hensick Ont (bench minor – too many men), 17:17. 2nd Period-4, Ontario, Mersch 1 (Fantenberg, Brodzinski), 0:27 (PP). 5, Texas, Dowling 1 (Morin, Regner), 5:32 (PP). 6, Texas, Markison 1 (Mangene, L’Esperance), 7:02. 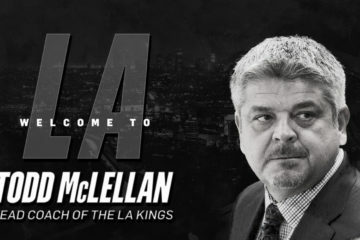 7, Ontario, Amadio 1 9:19. Penalties-Heatherington Tex (hooking), 0:16; Wagner Ont (slashing), 5:12. 3rd Period-8, Texas, Morin 2 (Dowling, McKenzie), 3:32. 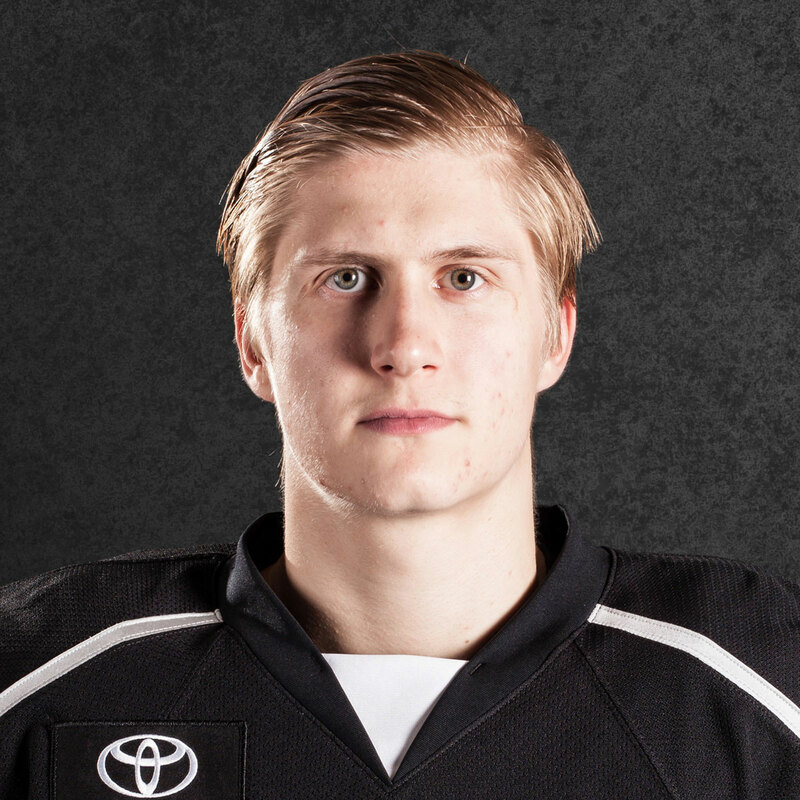 Penalties-Brodzinski Ont (tripping), 0:37; Elie Tex (tripping), 5:29; Amadio Ont (cross-checking), 6:49; Luff Ont (tripping), 15:02. Shots on Goal-Texas 14-8-8-9-5-44. Ontario 16-12-10-17-11-66. Power Play Opportunities-Texas 1/6; Ontario 1/4. Goalies-Texas, Bow 0-0 (22 shots-18 saves); McKenna 2-1 (44 shots-44 saves). 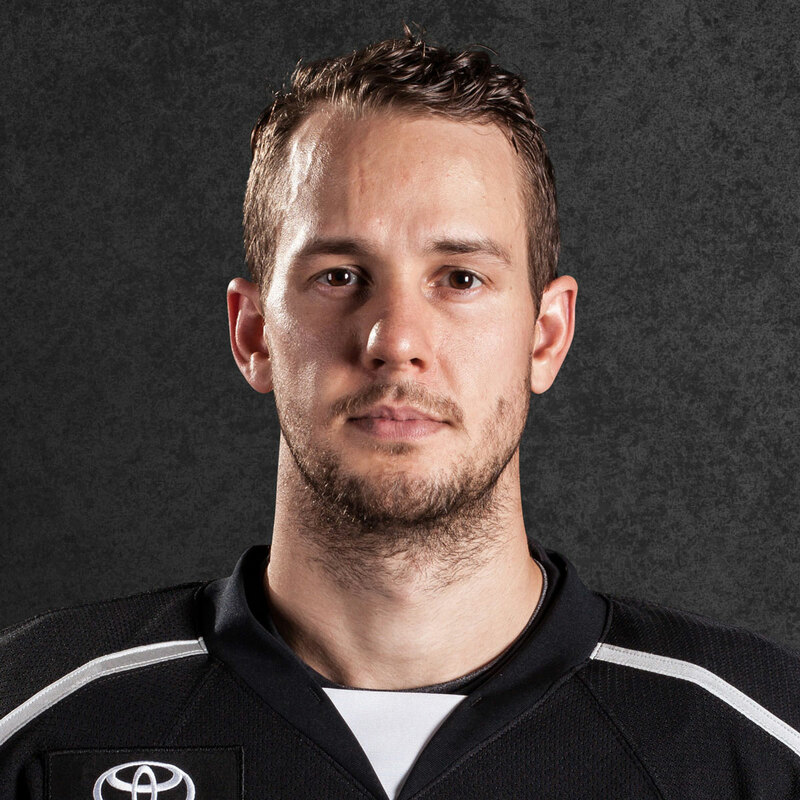 Ontario, Petersen 1-1 (44 shots-39 saves). Well, we had 66 shots. What’s not to be happy about? I think we outshot them by 20. The end result isn’t what we wanted, but what more can you do? I thought we played well. Well, there’s no time, really. I mean, they came down and they stepped right in to play, but the good thing is they were all here at various stages of the year, so it’s not like they came into unfamiliar territory or unfamiliar players or even a system. I’m sure it’s different from them, and the pace and the skill set, but you know what? They were happy to be here, and they were happy to be playing. It’s obviously a win for us. 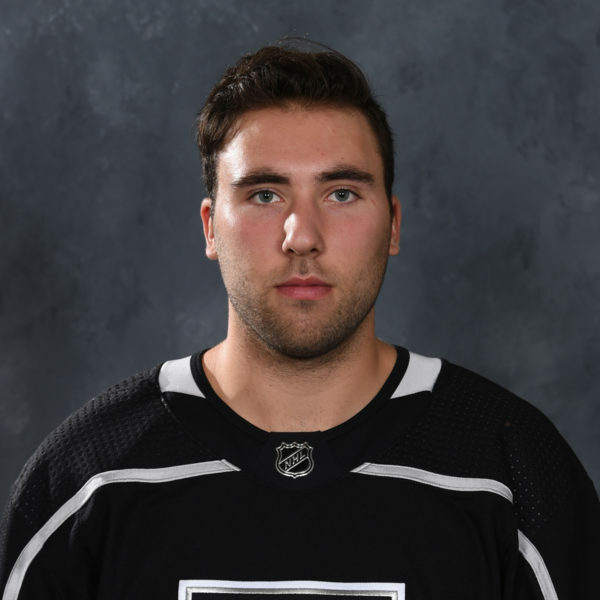 Well, everybody had a lot of minutes tonight, but yeah, Amadio, he makes plays. Things happen. The puck follows him around. He’s got a great stick. Actually, if you’re a winger, he’s a pretty easy guy to play with. All you’ve got to do is find a spot, because he’ll find you. You know what? I thought he was good tonight. I mean, I thought everybody was good. You don’t go into the length of game that we had tonight with anybody that’s not pulling their weight. It’s an unfortunate situation. How many times have we seen it? You get a chance at one end, they go right down the other way and the other team scores. Well, we pretty much went with three lines. 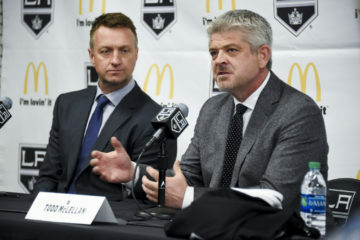 The only situation was I switched off every other time with Sutter and Auger, it was either Wags on the left and then the next rotation through, Auger would move to the left and Luffer would move over to the right. Other than that, just roll three lines. You’re asking the wrong guy. I think everything he does is wonderful. I’m like his dad for crying out loud. Wrong guy to ask. Yeah, that’s a tough loss to go that far and lose. I thught we had a lot of chances in the first overtime to end it, but that’s the way things go sometimes, so we’ve just got to come back Tuesday and get a win. The first game, my first couple shifts were a little tough getting back into it, getting adjusted to the pace again. After that, I felt really comfortable and was getting acclimated to the guys again, which was nice. Yeah, he came in and talked to us a little bit, just letting us know the plan for tomorrow and what’s going on. Double OT, something’s got to go in. It’s unfortunate that that happened, but we’re going to have a better game Tuesday. He’s a great coach. He’s been a great mentor the past year and a half. I enjoy playing for him, and he holds everyone accountable, so you’ve got to be playing at the top of your game, or he’s going to be on you. I think my responsibility. I learned that from my coach in junior … and here, so just trying to be responsible in my own end and then go from there. Just watching the guys up there, how hard they worked, how hard it took to get into playoffs, and then against Vegas, the battle there. It was a good learning experience to see what it takes and how hard those guys work. For the most part it’s definitely our older guys. They’re talking, telling us to keep going, keep pushing. I think for the most part we outplayed them, and our leaders throughout the night were just telling us, ‘keep going, keep grinding’ and we’ll hopefully get the result we wanted. Obviously that didn’t happen, but definitely our leadership group, and then Stutts comes in at the end and gives us a little pep talk. But, for the most part, the older guys. I think for the most part we outworked them. I think we were the better team most of the night, and obviously we got great chances to score more goals, so we’ve just got to take that into the next game on Tuesday and hopefully get the result we want. Next Post » DoPS releases video, but one hit missing; better enforcement of non-hockey plays?